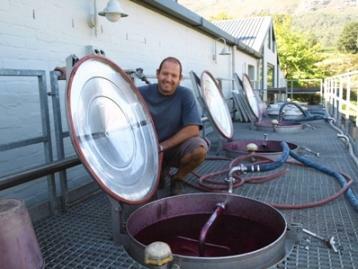 It was his first taste of top Rhône bottlings that inspired Rudi Schultz, winemaker at the heralded Thelema Mountain Vineyards, to pursue a winemaking career. So when he decided to create an eponymous label, Syrah was the natural varietal of choice. Grapes for Schultz's dazzling bottling are sourced from a vineyard in the Bottelary Hills ward of Stellenbosch and vinified at Thelema. Hailed as a "small production gem" and a "delicious fruit-driven Syrah" that "maintain[s] a sense of freshness and minerality," the wine has earned a 90+ Wine Spectator rave in every vintage since its 2002 debut. Wine Spectator 92"Warm and inviting, with acai berry, blueberry, plum and boysenberry fruit flavors that glide over anise and black tea notes. Not shy on depth or length. Drink now through 2020."